Sanjay Dutt released from Jail!! 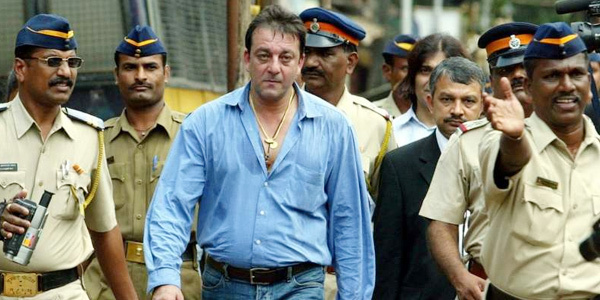 Bollywood actor Sanjay Dutt was today February 25, Thursday released from Pune's Yerwada Jail. After completing his prison term following his conviction in the 1993 Mumbai serial blasts case. Sanjay Dutt has been in jail from May 2013, as prisoner number 16656. He completed 42 months out of a total of five years of imprisonment that was awarded to him by a special court, and subsequently confirmed by the Supreme Court in 2013. In 2007-08, Dutt had served 18 months in jail. After coming out, Sanjay Dutt told reporters that, 'Not an easy walk to freedom'. He also added saying, "There is no easy walk to freedom, my friends, Unke (fans) support ki wajah se mai yahan hoon."